A lottery winner has died of cancer weeks after winning $1.24 million from a $10 ticket. A SELF-EMPLOYED carpenter who hit the lottery jackpot earlier this month has died just weeks after the life-changing win. Donald Louis Savastano, from Queens, New York, won $1.24 million on the Merry Millionaire scratch lottery on January 4. 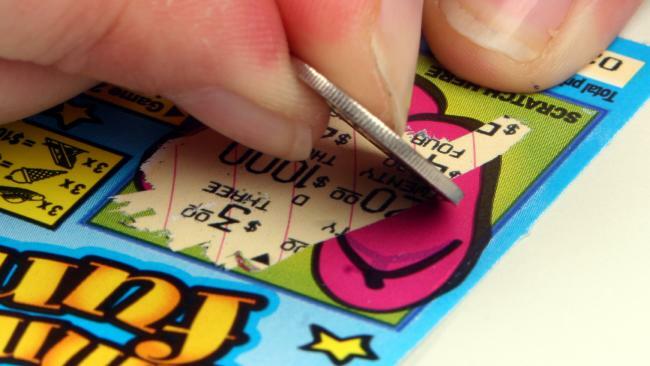 According to the New Zealand Herald, the 51-year-old, who took home a lump sum of around $817,000 after taxes, bought the winning $10 ticket on a whim. But tragically, he was diagnosed with stage 4 cancer recently and he died suddenly late last week, leaving behind long-term girlfriend Julie Wheeler and her two sons, who he helped raise. He is also survived by his mother, two sisters and four brothers. At the time of his win, Mr Savastano told the media he would put the jackpot towards his retirement plans and paying off debt. "Being a self-employed carpenter, I didn't really have a plan for retirement," Mr Savastano told WBNG-TV earlier this month. "The money will help with that. I don't have any other extravagant plans. "I'll buy a new truck, pay off some debt and invest for the future." An obituary published over the weekend by the Lester R Grummons Funeral Home said Mr Savastano was born on October 30, 1966 and had grown up on Long Island before being taught the tricks of the carpentry trade by his father John. It described him as a hardworking man who was dedicated to helping others. "He was known for his high-quality work and perfectionism," the obituary said. "He always tried to reach out and help those he could by teaching them 'the right way to do things'. "Don was thought of as a wonderful and even an angelic person by those who knew him and will be greatly missed." The obituary thanked Bassett Hospital and Tri-Town ER for taking care of the man in his last days and stated Mr Savastano had been in hospice care in the days leading up to his sudden death, which occurred at home surrounded by loved ones. His family asked for donations to be made to the American Cancer Society.